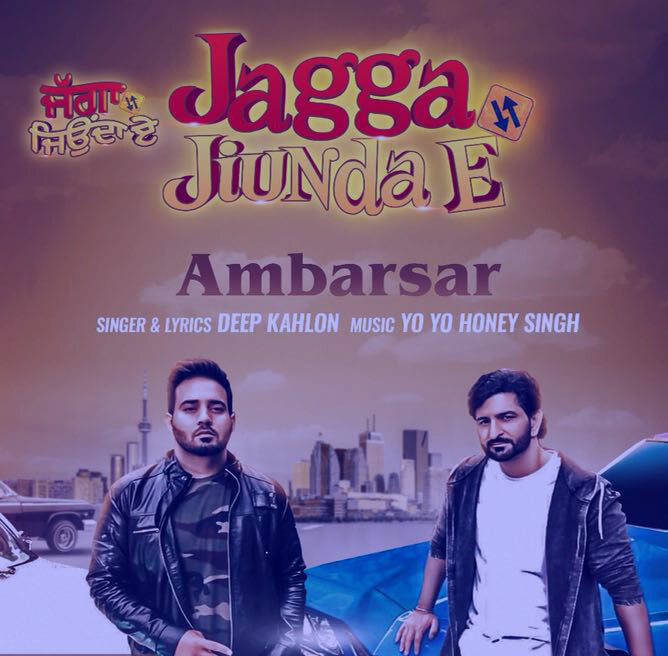 Ambarsar - Yo Yo Honey Singh Ft Deep Kahlon Lyrics From Movie Jagga Jionda E, Yo Yo Honey Singh is back here with his surprise entry 'Ambarsar' in Upcoming Punjabi Film Jagga Jionda E.
Yo Yo Honey Singh is back here with his surprise entry 'Ambarsar' in Upcoming Punjabi Film Jagga Jionda E. 'Ambarsar' song is sung by Deep Kahlon while the music of the song is directed by Yo Yo Honey Singh. Ambarsar Lyrics are also penned by Deep Kahlon. Honey Singh Fans always remains eager to hear about him even if it's a hoax but this time it's for real. Yo Yo Honey Singh is making a return in Punjabi Music Industry with song Ambarsar after a lot of controversies and bad health issues. Jagga Jionda E is a Punjabi movie starring Jackie Shroff, Daljeet Kalsi, Kainaat Arora, Gurpreet Ghuggi, Harp Farmer, Sapna Choudhary and many more. Mika Singh is producing this movie. Milind Gaba, Kaptaan Ladi etc are music directors alongside Yo Yo Honey Singh.